The originality of Nagl's music matches that of the poetry. 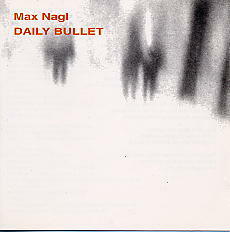 The genre of DAILY BULLET is difficult to define. It might be placed in the same category as Carla Bley's Escalator Over the Hill.